For most people, using a real estate broker will result in the highest price and best terms. But for those of you who can't stand the thought of paying a broker, here are some basics to help you sell your own home. Stagers know how to make a home appealing to a big audience and show the home in its best light. They'll help you highlight your home's most important features and round out the rough edges. You might think you've got great taste, but swallow your pride and let a professional tell you what to do, or stand aside and let them stage your entire home. A well staged home will sell for more money, faster. Buyers will first see your home online, so don't take the photos with your phone. Real estate photographers know how to shoot homes. Wait for a sunny day (especially if you have a large property or a view), hire a pro and take a LOT of photos (25 or more). An average real estate photographer will charge $300-$600 for 25 photos that are edited and ready for the web. This is the hard part. Real estate agents are member of a local MLS (multiple listing service), which sends listings to every real estate firm's website, including sites like Redfin, Coldwell Banker and Windermere, where most serious buyers are searching. If you sell your home without a Broker, you can still publish your home for sale on Zillow and that's probably where you'll find your buyer. While you're at it, you should post your home on Craigslist and Facebook (your personal page, neighborhood pages, etc.) too. No matter what you do, you'll be exposing your property to a small fraction of the buyers who are likely to buy your home. This is why most DIY sellers take longer to sell, and end up getting less money for their homes than those listed by a real estate agent. Don't rely on an automated valuation of your home like the Zestimate or Redfin Estimate. Research nearby sales (including active, pending and sold homes) to determine what your home is worth and how much demand exists for homes like yours. 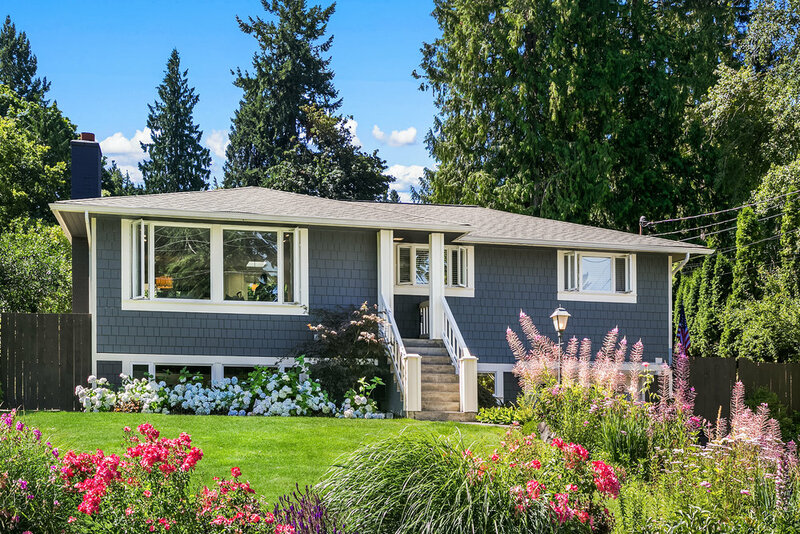 Take off your rose-colored glasses and get real about your property. Identify homes like yours based on: age, floor plan (e.g. 2 stories; 1-story plus basement; townhome), size, condition (if your kitchen is from 1974, don't use a home with a new kitchen as a comparable sale!). Then look at the sales data, including the number of days they took to sell. If homes like yours sell in a week or less every time, be careful about accepting the first offer you get--high demand might lead to multiple offers and better terms. On the flip side, if similar homes take 30 days or more to sell, your first offer is often your best offer. Price your home sensibly and let the market take it from there. Don't get greedy. Once you receive an offer (or, perhaps, a few of them) you'll have to negotiate with interested parties. Most people don't realize how important the peripheral terms of an offer can be. An offer typically includes contingencies for: inspection, title and financing. The length of those contingencies and type of financing the buyer is using can make or break a deal. Don't be lured by a high priced offer; remember that the buyer may be able to renegotiate after inspecting the home. Consider all the terms of an offer before you make any decisions and always confirm that the buyer is pre-approved or capable of paying cash for the property. You should have an attorney review--or draft--the purchase and sale agreement, which includes all of the terms and provides a procedure for negotiating and, ultimately, reaching the closing table. Most homeowners use a broker, and for good reason. While it may seem like you save money by selling on your own, most off-market sales I see are below market value (hint: this is why developers send letters to unwitting homeowners in order to acquire un-listed properties). But if you want to give it a try on your own, take the advice above...and good luck! If you'd like a no-hassle market analysis for your home, drop me a line!